Hi. I am looking to have a few fields on a form auto-fill a designed PDF I have created with blank fields on it. Is this possible with this software? Thanks!
. 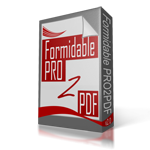 Use copy/paste to rename the PDF fields to match the Formidable field names EXACTLY.
. Select the “Enable automated layout creation for new field maps” on the plugin’s SETTINGS tab.
. Now, when you create a new field map layout the plugin will correctly map all fields except ADDRESS, CHECKBOX, and REPEATABLE fields, which must be mapped manually. Let us know if you have any issues creating the field map layout or use this form to request a quote for us to create the field map layout for you.